Conferencing – or dialogue – has always been a core activity in liberal adult education. More recently, attempts have been made to transfer such conversations online in the form of computer-mediated conferencing. This transfer has raised a range of pedagogical questions, most notably “Can established practices be continued? Or must new forms of participation and group management be established? This paper addresses these questions. It is based on two sources: (1) 3,700 online postings from a variety of Net-based adult education courses in Sweden; and (2) interviews with participants and course-leaders. It comprises a discussion of online conversational activity and, in particular, the absent presence and pedagogic orientation of teachers who steer learners towards explicit and implicit course goals. In other words, it is a reminder that adult education is not a free-floating form of self instruction but, rather, operates within boundaries created and managed by other human beings. Hult, A., Dahlgren, E., Hamilton, D. & Söderström, T. (2006). Teachers' Invisible Presence in Net-based Distance Education. 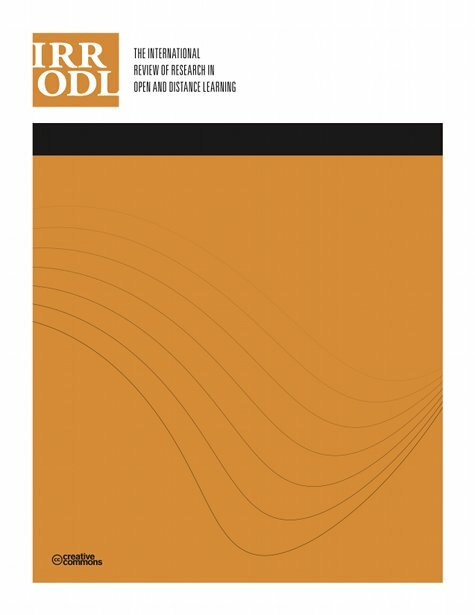 The International Review of Research in Open and Distributed Learning, 6 (3),. Athabasca University Press. Retrieved April 26, 2019 from https://www.learntechlib.org/p/49169/. Bakhtin, M. (1981). The Dialogic Imagination. Transcribed by C. Emerson and M. Holquist. Austin, TX. : University of Texas Press. Bakhtin, M. (1994). The Problem of the Text in Linguistics, Philology and the Human Sciences: An experiment in philosophical analysis. In V.W. McGee (Ed.) Speech Genres and Other Late Essays (pp. 103-131). Austin, TX. : University of Texas Press. Burbeles, N., and Bruce, B.C. (2001). Theory and research on teaching as dialogue. In V. Richardson (Ed.) Handbook of Research on Teaching. 4th Ed. (pp. 1102 – 1121). Griffiths, M. (2001). Social Justice for Education: What kind of theory is needed. The School Field, 12(1/2), 25 – 41. Hamilton, D., Dahlgren, E., Hult, A., Roos, B., and Söderström, T. (2004). When Performance is the Product: Problems in the analysis of online distance education. British Educational Research Journal, 30(6), 841 – 854. Laurillard, D. (2002). Rethinking University Teaching: A conversational framework for the effective use of educational technologies. London: RoutledgeFalmer. Lotman, Y. (1988). Text within a text. Soviet Psychology, 26(3), 32 – 51. Northedge, A. (2002). Organizing Excursions into Specialist Discourse Communities: A sociocultural account of university teaching. In G. Wells and G. Claxton (Eds.) Learning for Life in the 21st Century: Sociocultural perspectives on the future of education (pp. 252-264). Oxford: Blackwell. Papert, S. (1991). Situating constructionism. In I. Harel and S. Papert (Eds.) Constructionism (pp. 1-11). Norwood, NJ. : Ablex. Romiszowski, J., and Mason, R. (1996). Computer mediated communication. In D.H. Jonasson (Ed.) Handbook of Research for Educational Communications and Technology. New York: Macmillan. Roos, B., and Hamilton, D. (2005). Formative Assessment: a cyberNetic viewpoint. Assessment in Education, 12(1), 7 – 20. Vygotsky, L.S. (1987). The Collected Works of L.S. Vygotsky: The problems of General Psychology. New York: Plenum Press. Wilensky, U. (1991). Abstract meditations on the concrete and concrete implications for mathematics education. In I. Harel and S. Papert (Eds.) Constructionism (pp. 193-203).